A modern ‘legal arsenal’ comprising the rule of law is the best weapon to combat crime and terror and to end the vicious circle of poverty, according to experts gathered in Doha, Qatar, for the Apr. 12-19 United Nations Congress on Crime Prevention and Criminal Justice, organised by the Vienna-based United Nations Office on Drugs and Crime (UNODC). The International Organization for Victim Assistance has calculated that investing 0.1 per cent of the global gross domestic product in planning, training, developing, implementing and evaluating actions to prevent crime and bolster criminal justice systems would free up one trillion dollars by 2030 and would save hundreds of thousands of lives while fostering sustainable development. UNODC said in a press release simultaneously issued in Vienna and Doha on Apr. 15 that several speakers from terrorism-afflicted States had shared their perspective on how to address the causes of that scourge. To halt the spread of groups like Al-Qaida and Da’esh, and their crimes against humanity, the press release said, Iraq’s representative pleaded for a strategy that must include Security Council action and a guarantee of the implementation of that body’s resolutions. It would also require stepping up international cooperation, particularly on freezing flows of funds and foreign fighters, and promoting the battle against organised crime groups operating behind “shell” companies. Libya’s representative appealed for international assistance to recover its plundered assets, bolster border control and support his government’s endeavours to simultaneously promote stability while fighting against the presence of Da’esh. As Libya was a gateway to Europe, he said, what was happening in his country would have an impact on States around the world. In fact, no country could claim to combat terrorism on its own, the press release quoted Morocco’s representative saying. He emphasised that international cooperation was essential. His country had introduced several reforms with the aim of creating a “legal arsenal” to tackle various forms of crime, including terrorism, smuggling of migrants and money-laundering, as well as to address the unique challenge of foreign fighters. The best addition to that arsenal was regional and international cooperation, he said, noting that UNODC had the potential to help track down States that harboured terrorists and criminals or contributed to their activities. Continuing, he highlighted that success in crime prevention and criminal justice did not depend on the number of security forces, but on the adoption of effective means to respond to multifaceted threats in a way that respected human rights. As such, Morocco had adopted a multi-pronged approach in its public policy to combat terrorist groups by “drying up” their funding through strong mandatory measures and protecting the country’s religious environment from excesses. A number of speakers also called for action to make similar processes easier. Representing another view, the UNODC said, a speaker for Amnesty International called on the Congress to address human rights violations that resulted from “overzealous” policing, as well as the punishment of women, marginalised individuals, the poor and those transgressing social norms. Reporters around the world – from Ghana to Guatemala, Kenya to Kosovo and South Sudan to Serbia – read through thousands of pages of World Bank records, interviewed scores of people including former Bank employees and carefully documented over 10 years of lapses in the financial institution’s practices, which have rendered poor farmers, urban slum-dwellers, indigenous communities and destitute fisherfolk landless, homeless or jobless. In several cases, reporters found that whole communities who happened to live in the pathway of a World Bank-funded project were forcibly removed through means that involved the use of violence, or intimidation. Nearly 50 percent of the estimated 3.4 million people who were physically or economically displaced by large-scale projects – ostensibly aimed at improving water and electricity supplies or beefing up transport and energy networks in some of the world’s most impoverished nations – reside in Africa, or one of three Asian nations: China, India and Vietnam. Between 2004 and 2013, the World Bank, together with the IFC, pledged 455 billion dollars for the purpose of rolling out 7,200 projects in the developing world. In that same time period, complaints poured in from communities around the world that both the lenders and borrowers were flouting their own safeguards policies. In Ethiopia, for instance, reporters from the ICIJ team found that government officials siphoned millions of dollars from the two billion dollars the Bank poured into a health and education initiative, and used the money to fund a campaign of mass evictions that sought to forcibly remove two million poor people from their lands. 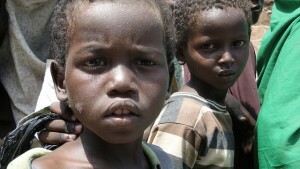 Over 95,000 people in Ethiopia have been displaced by World Bank-funded projects. In the four years leading up to 2013, Oxfam found that the IFC invested 36 billion dollars in financial intermediaries, 50 percent more than the sum spent on health and three times more than the Bank spent on education during that same period. The new model, of pumping money into an investment portfolio in financial intermediaries, now makes up 62 percent of the IFC’s total investment portfolio, but the “painful truth is that the IFC does not know where much of its money under this new model is ending up or even whether it’s helping or harming,” Nicolas Mombrial, head of Oxfam International’s Washington DC office, said in a statement on Apr. 2. Investments made to what the Bank classifies as “high-risk” intermediaries have caused conflict and hardship for thousands on palm oil, sugarcane and rubber plantations in Honduras, Laos, and Cambodia; at a dam site in Guatemala; around a power plant in India; and in the areas surrounding a mine in Vietnam, according to Oxfam’s research. In response to widespread criticism over such lapses, the Bank is now in the process of overhauling its safeguards policy, but officials say that instead of making vulnerable communities safer, the new policy will only serve to increase their risk of displacement. In a response to the ICIJ investigation released today, Oxfam’s land advocacy lead Kate Geary stated, “ICIJ’s findings echo what Oxfam has long been saying: that the World Bank Group – and its private sector arm the IFC in particular – is sometimes failing those people who it aims to benefit: the poorest and most marginalised […]. The international humanitarian charity Oxfam is calling on the World Bank and major donors to raise 1.7 billion dollars to improve poor health systems in Ebola-affected countries and strengthen community networks for preventing another epidemic. In light of the World Bank’s talks on Ebola, set for Apr. 17 as part of the bank’s annual spring meetings in Washington DC, the focus is on the need to create a 10-year investment plan for free universal health care to ensure that countries are able tackle future disease outbreaks. 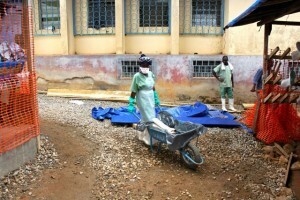 More than 10,000 people have died during the Ebola epidemic due to public health failures, remarked Byanyima. Oxfam has trained community volunteers and 1.3 million workers to visit houses and raise awareness about symptoms, good hygiene and risky behaviours, as well as supporting clinics, schools and people in quarantine with water and sanitation. According to Oxfam, 420 million dollars is required to train more than 9,000 doctors and approximately 37,060 healthcare workers, and 297 million dollars is needed to pay their salaries. The money is the minimum amount needed to assure health care assistance for all in Liberia, Sierra Leone, Guinea and Guinea-Bissau, according to Oxfam, and it would be invested in well-equipped facilities, sufficient trained staff, medical supplies and a systems of health information to strengthen community networks. Byanyima said that, “The rise of stronger new community networks offer greater space for local people to be involved in decision making, but they have been excluded from recovery planning,” adding that this attitude should change, and donors should insist on engaging more with communities. Building community networks is also vital to hold governments accountable for the money they spent, and if they spent it well, she remarked. In Sierra Leone, around 12,000 children are orphans, and 180,000 people are jobless. In December 2014, in Liberia, 73 percent of people in three counties, Montserrado, Nimba and Grand Gedeh, reported dramatic economic impacts, in lost income and harvests, Oxfam researchers reported. Oxfam urges the international community to invest in stronger public services, and to help local people to recover from the immediate psychological, social, and economic impacts left by the disease.